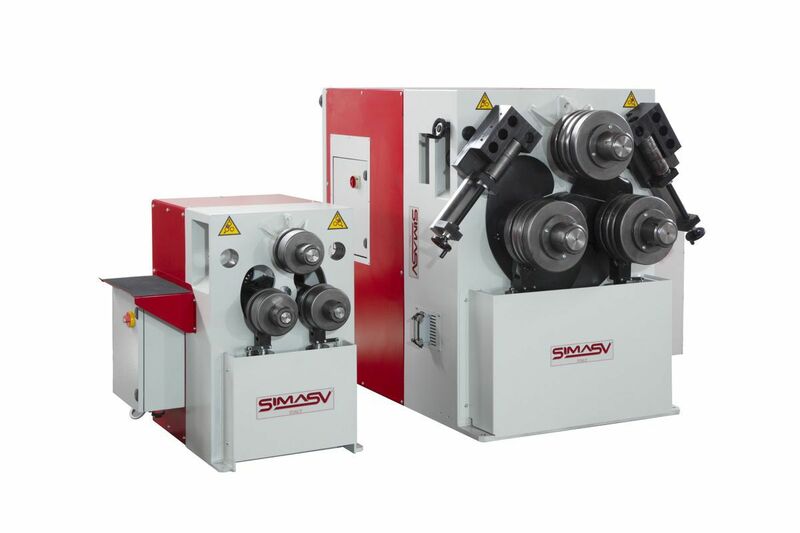 Consisting of a solid structure, the CHV4100 bending machine is fitted with thermally treated NiCr steel shafts supplied with ball-bearings to reduce the friction of mechanical parts, thus ensuring a long lifespan. 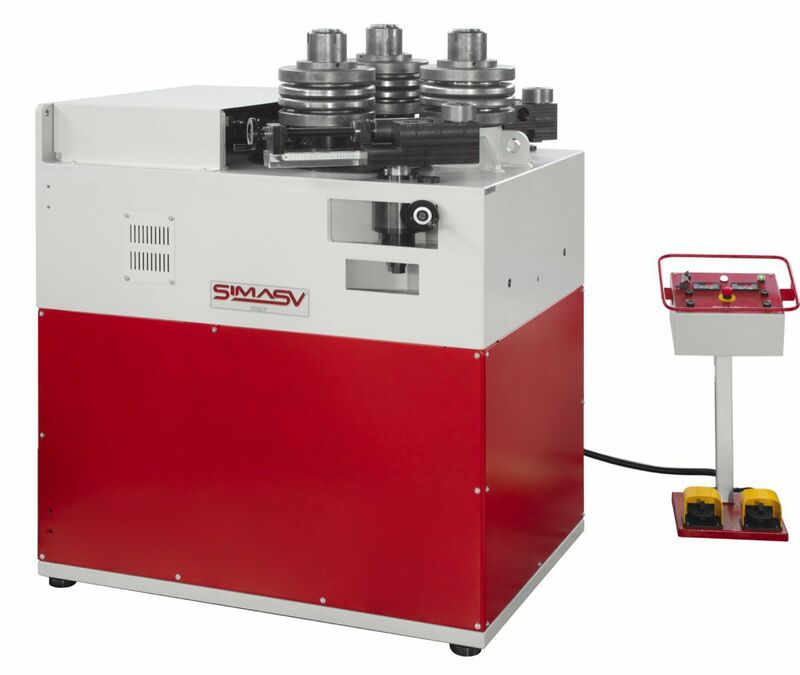 It can be positioned on both vertical and horizontal axes, depending on operating requirements. 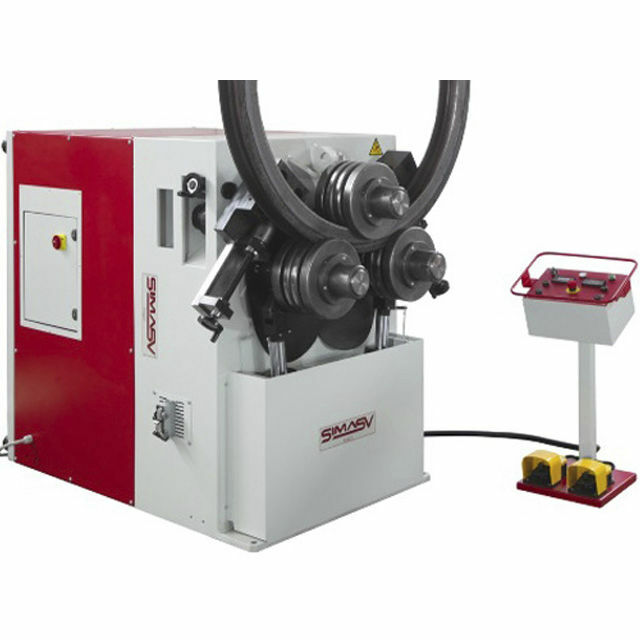 The machine is fitted with helical geared speed mechanical reducers, lubricated in oil-bath and an adjustable torque limiter mounted on the central shaft to protect against overloading and for the automatic adjustment of the differentiated speed of the internal roll. The three driving rolls feature a smooth surface to prevent damaging the external surface of the section bars, bars and pipes to be bent, and are operated via the double pedal board to change the direction of rotation of the rolls. 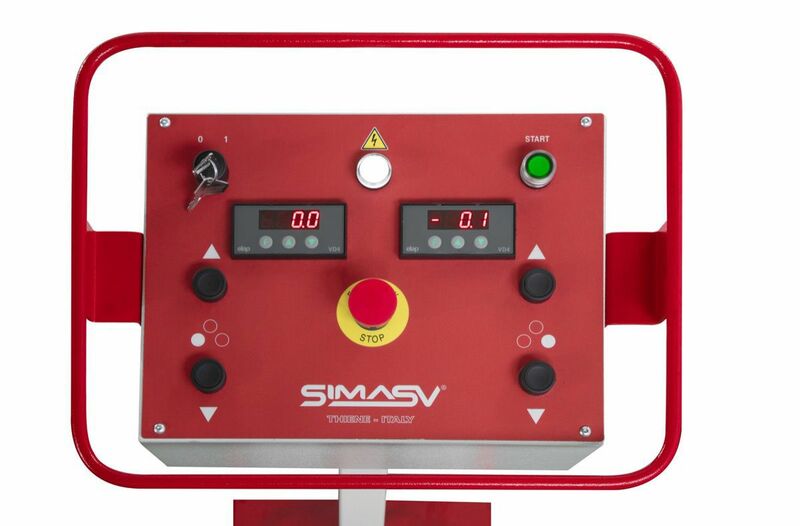 The remote control unit is provided of precision digital read-outs to check the position of bending rolls.